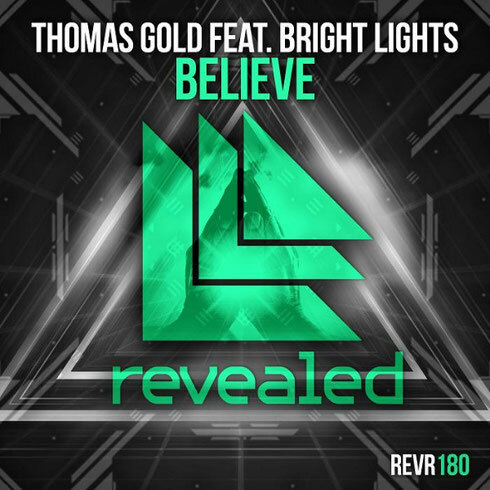 After releasing ‘Colourblind’ last year on Revealed, Berlin-based producer Thomas Gold returns to the imprint with another track – ‘Believe’ featuring Bright Lights. Built around boisterous introductory beats that transform into a large build-up, Thomas draws in synth-driven melodies that interject the track with his own workings. Bright Light’s vocals illuminate the release with its ‘I Believe In You’ top line providing the soundtrack for the months ahead. As Thomas’ working evolves furthermore, from its progressive house key chords to the carnage of club-ready synths and break-downs, the producer aims to bring big-room back to the forefront.